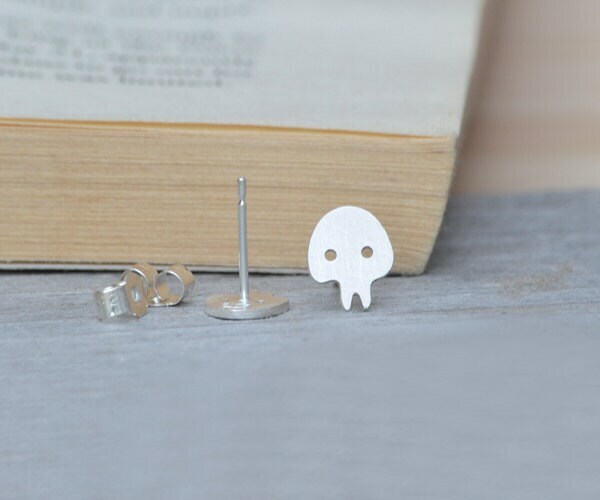 These skull earring studs are handmade at my studio in England. 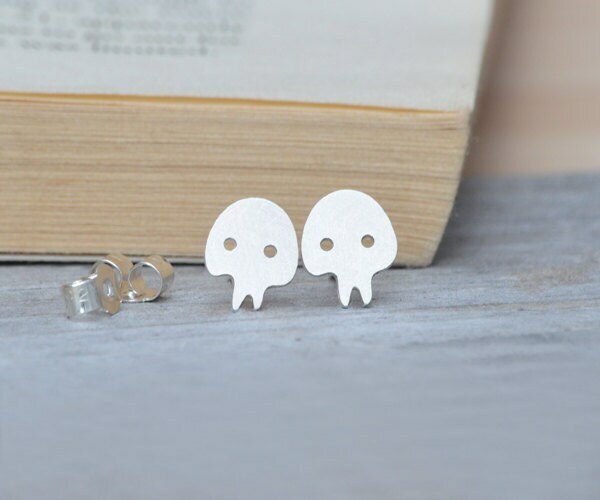 Material: solid sterling silver as shown, also available in 9ct and 18ct gold, please choose from drop down menu. 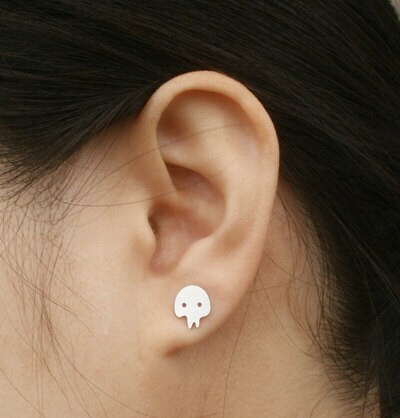 The ear studs I purchased from Huiyi Tan were beautiful and charming. Because they were being shipped from London I made contact to check on delivery times and Huiyi responded promptly and professionally. The delivery arrived on time, was better than I had imagined and was packaged tastefully. I plan to do more business with Huiyi in the future.